Why the gluten free diet? Many people are unable to consume wheat or other grains such as barley because they contain gluten. Gluten is a protein found in these grains and coeliac disease is the inability to digest gluten. Further more, the consumption of gluten causes an autoimmune response where your body attacks itself, causing damage to the small intestine which can lead to malabsorbtion or other health problems, not to mention a raft of unpleasant symptoms. This damage is caused even by very small amounts and the only reliable cure so far is a lifelong gluten free diet. Coeliacs can become ill after eating as little as 20 milligrams (divide a slice of bread into 100 pieces and one of them is about that much!) 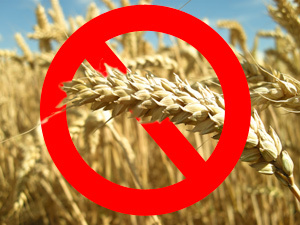 Coeliac disease is not the only reason to avoid gluten or wheat. Some people have an allergy to wheat just like how some people have allergies to a specific food such as a type of nut. Gluten is found in grains such as Rye and Barley as well as Wheat. Grains and other sources of carbohydrate that do not contain gluten include rice, corn potatoes and tapioca. The purpose of this site is simple: to help people like myself who live with coeliac disease, to find out about new gluten free products that are available locally. Furthermore, by having access to reviews, we can not only have a better idea of which products are best, but can also provide constructive feedback to manufacturers. Hopefully this will encourage good practice and educate those who simply don't know how they can make life better for people like us and hopefully profitable to themselves. I soon plan to add some further information for those new to a gluten free diet, hopefully with some input from a dietician as well as information for Restaurants etc on how to look after us and a system for articles/news. If you want to know more, check out upcoming changes and feel free to get in contact or suggest your own ideas.